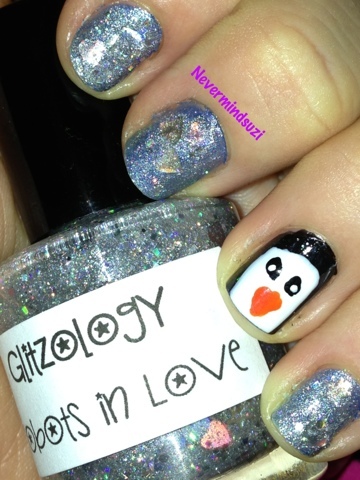 Today's Glitzology polish is Robots in Love. I started with 2 coats of Face of Australia You Blue Me Away which you can see just peeping through with the flash pictures. 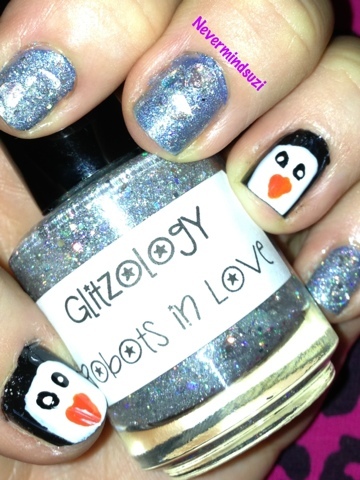 Robots in Love is a clear base full of silver shimmer and holographic silver micro glitters. 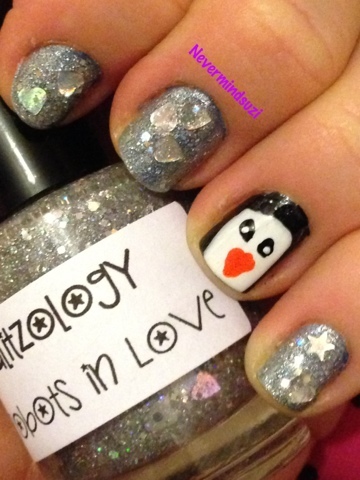 To top it off there are stars and heart glitters! 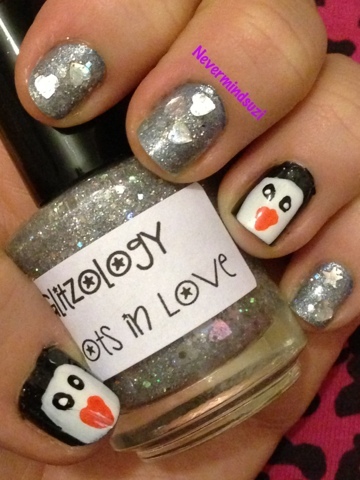 I used 2 coats of each polish and there was no fishing required to get the hearts or stars from Robots in Love, it was just a case of placing them where I preferred. Couldn't resist adding some little penguin dudes. 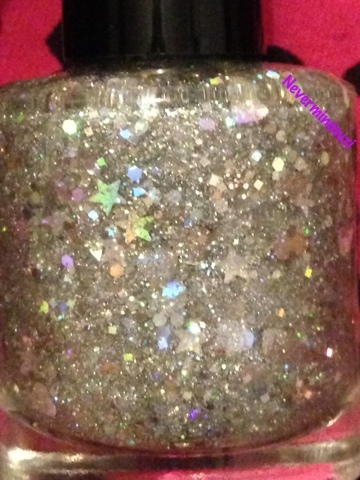 Check out this glitter bomb!